This year, it’s your turn. You get the privilege of hosting the best meal of the year — Thanksgiving dinner. You want it to be memorable, appealing and tastefully appetizing, all on a budget. Hosting Thanksgiving dinner doesn’t mean you have to spend hundreds of dollars prepping, planning and making sure every detail is perfect. There are several subtle, effortless ways to host the meal without spending a small fortune — and your guests clueless will never know the word “budget” was even in your mind. The first step to sticking to any budget is determining what your budget will be. Decide on a real number and don’t go over your limit. Even if your budget is $75, Thanksgiving dinner can be done (think dollar stores for napkins and serving dishes, simple recipes with minimal ingredients and thrift stores for decor). 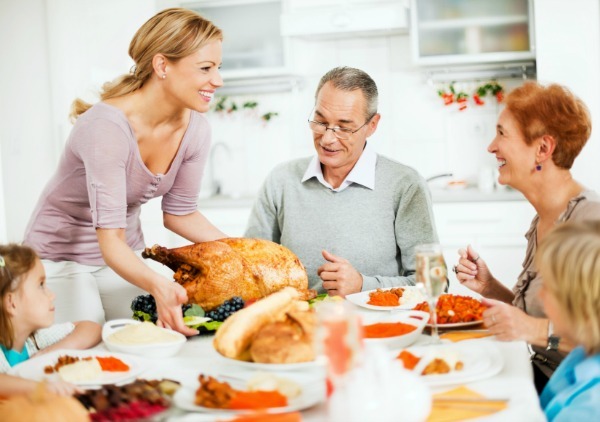 The traditional Thanksgiving foods are going to take up the bulk of your budget, so come up with a menu plan and purchase the necessary ingredients before you buy decor, table settings and the like. 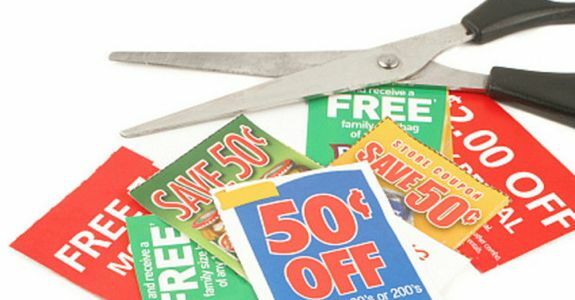 Clip coupons. Start looking for coupons a few weeks in advance. Almost all local grocery stores have deals on turkeys leading up to Thanksgiving. Once you determine what your Thanksgiving meal will consist of, you can clip coupons accordingly. Buy in bulk. Consider buying some pre-made items, such as pies or appetizers, like a veggie tray or cheese and cracker tray, at Costco or Sam’s Club. A Costco pumpkin pie serves up to 16 people and costs a mere $6. Prepare simple dishes. Plan on serving simple, inexpensive dishes rather than ones that are elaborate and ingredient-heavy. Cheat and use frozen vegetables for side dishes like green bean casserole, boxed items like Stove Top Stuffing Mix for your stuffing recipe and gravy from a jar. Also, be sure to make inexpensive recipes like sweet potato casserole and mashed potatoes. Most likely you don’t have enough fancy dishes that match for all of your guests, and that’s OK. Using mismatched dishes can create a modern and eclectic tablesetting. Or consider asking co-workers or friends who are going out of town if you can borrow their dishes. If that’s not an option, purchase a cheap all-white dinnerware set. White will match whatever decor you end up choosing and can also be used for everyday use after Thanksgiving. For dessert, no one will think any less of you if you purchase festive paper plates at the dollar store. Sprucing up your home for the big day doesn’t have to cost a pretty penny. Craft stores such as Michaels, Hobby Lobby and Jo-Ann, or discount stores such as TJ Maxx or Marshalls, always have discounted centerpieces, table runners, leaf garlands and wall hangings. Consider making your own decorations, as well. Pinterest provides plenty of budget-friendly, adorable ideas for even the least crafty of individuals. Most of all, remember the reason you’re hosting Thanksgiving dinner to begin with — to gather your friends and family to give thanks for all the blessings in your life. The meaning behind Thanksgiving is far more important than the fanciest foods, finest china and most elaborate decor. Have fun with your loved ones, ask for help if needed and enjoy every moment that the day provides.